Surrounded by his loving family, Jack Anders, 75, of Crooksville died at 8:02 AM, Saturday, November 10, 2018 at Genesis Hospice & Palliative Care Morrison House following a three year battle with cancer. He was born June 5, 1943 in Zanesville, the son of the late, Howard Sr. and Pearl (Carr) Anders. 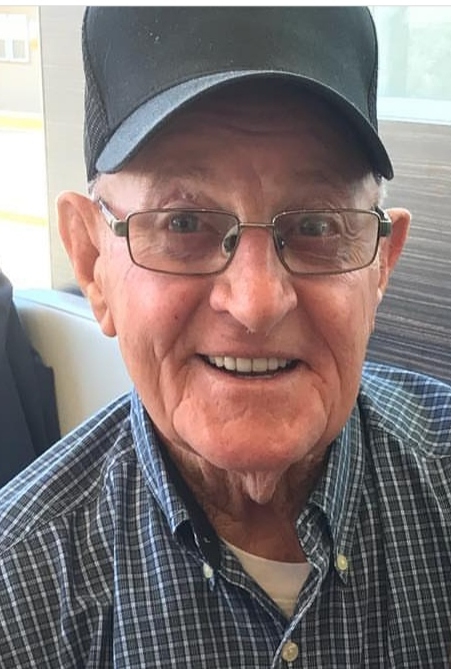 Jack never let his diagnosis of cancer stand his way of living his life, Jack continued to work for the Village of Crooksville in the Street Department. Throughout most of the year Jack could always be seen riding the tractor and cutting the grass for the Village, he took great pride in maintaining the beautiful stretch of State Route 93 that runs right through the heart of his hometown. Jack continued to serve his community as an EMT and Fireman for the Crooksville FD and he enjoyed helping out the local farmers. He also worked for numerous other local business including, Sowers Sheet Metal and the Oxford Oil Company. Jack was an avid hunter, fisherman and enjoyed playing golf at all the local courses. Jack had a very healthy appetite for any homemade goodies. He will always be remembered for his personality, always giving people a hard time was Jack's way of showing you that he cared. Left to remember Jack are his darling wife of 55 years, Patsy (Burns) Anders whom he married September 7, 1963; his son, Tony (Lisa) Anders, his best friends and brother-in-law, Jack L. Blosser, his special sister-in-law, Wilma Blosser; brother-in-law, John (Sue) Burns; his granddaughters, Abby (Jordan) Miller and Amanda Anders, his great-grandchildren, Kylee, Ali, Colt, Cayden and Hadlie. his nieces and nephews, Darlene Blosser, Darla Blosser, Darrin Blosser, John Burns, Julie Welch and Lisa Givens; and his good friend, Tyler Hiles. In addition to his parents, Jack is preceded in death by his brother, Howard Anders, Jr and his sister, Sharma Goff. The Anders family will receive friends and family, 10:00 AM-12:00 PM, Monday November 12, 2018 at the Goebel Funeral Home, 36 N. Buckeye St., Crooksville. Funeral services will follow at 2:00 PM, at the funeral home with Pastor Dr. Donna Edsall officiating. Jack will be laid to rest in Community Gardens Cemetery in Somerset.